Dr. Fanny Cheung is a distinguished alumna of the College of Liberal Arts at the University of Minnesota. Dr. Cheung graduated from the University with her Ph.D. in psychology in 1975. During her time in Minnesota, Dr. Cheung served as program adviser and consultant for community programs. Dr. Cheung is currently the chair of the Department of Psychology and professor of Psychology at the Chinese University of Hong Kong (CUHK). She is also the current and founding director of the Gender Research Center at the Hong Kong Institute of Asia-Pacific Studies. 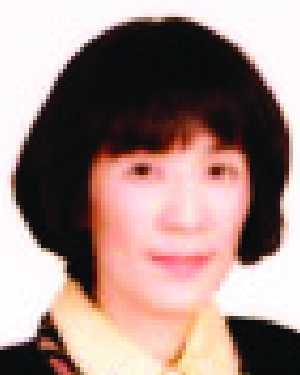 Dr. Cheung has been active as a distinguished professor of psychology at CUHK since her return to Hong Kong in 1975. In the early 1990s she took the lead in developing the Cross-Cultural (Chinese) Personality Assessment Inventory. T his was one of the first initiatives it the field to develop a local, non-Western responsive of personality. Her work has been influential across Asia. From 1996 to 1999, Dr. Cheung served as the founding chairperson of the Equal Opportunities Commission of the Hong Kong government and established the research foundation of this organization. Her work has led to increased opportunities for women and persons with disabilities. She has published and lectured widely, both in Hong Kong and internationally on these issues. In naming Dr. Cheung as a winner of the Distinguished Leadership Award for Internationals, the selection committee cited her influential leadership in the field of mental health and gender studies in Hong Kong and Asia. Her research has been at the cutting edge of her field and her commitment to the highest quality of standards has resulted in her being considered as one of the most important psychologists currently working in Chinese culture. In addition, Dr. Cheung has been deeply committed to public service and is a sought-after member of numerous government committees and advisory bodies.